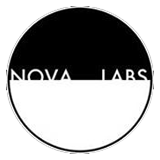 Nova Labs – The Seed of Something to be released on Nova Labs with help from campaign! The Seed of Something to be released on Nova Labs with help from campaign! We are now actively working with the great Des Moines band The Seed of Something to release their album “English” on vinyl, sometime in the Fall of 2013. Recorded at Sound Farm (the great studio where Slipknot goes, if you didn’t already know that) by the uber-team of Ryan Martin and Dan Hutchinson, “English” is a slab of upbeat garage rock with just the right amount of snottiness to it. You’ll get a copy of the record, destined to be a musical piece of Iowa history, and some freebies as well, along with the satisfaction of supporting local music. Nova Labs is honored to have this be our first full-length vinyl release.